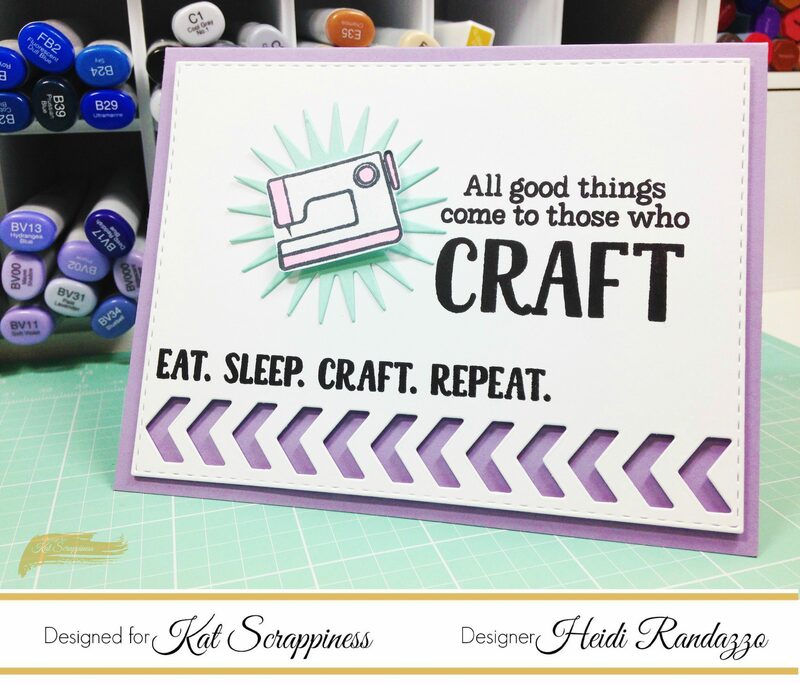 For those of us who craft, the statement on this card rings true. 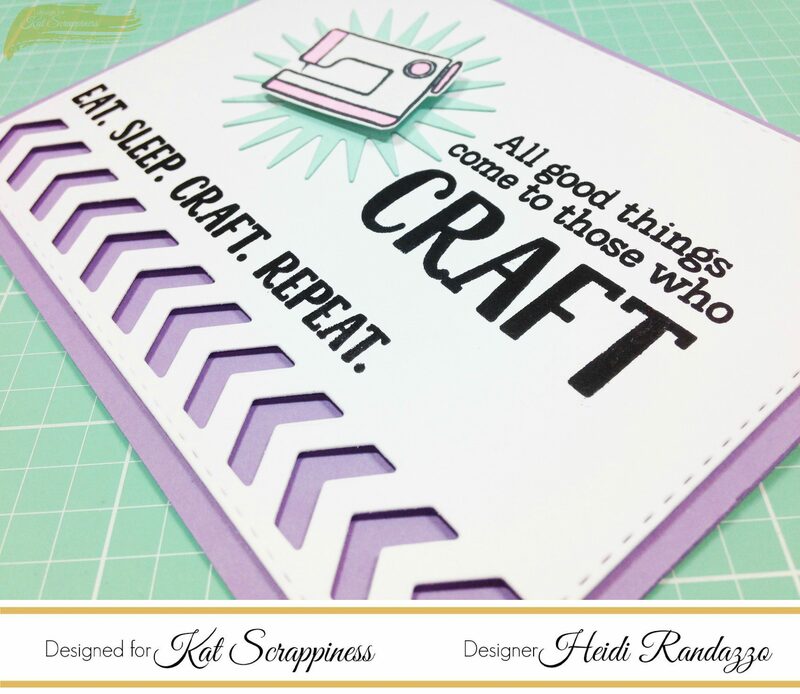 The happy calm we feel when stepping into our craft space is like no other! Even if it’s just for fifteen minutes or so :). 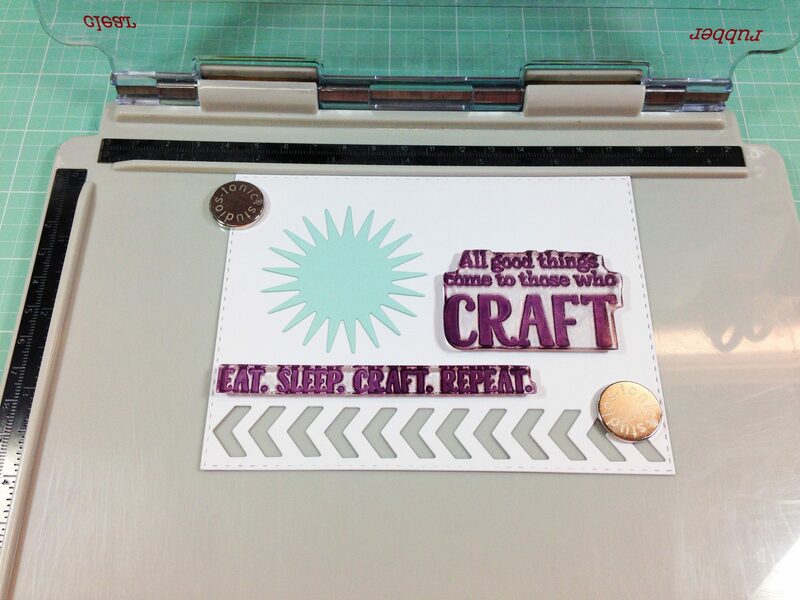 Today’s project uses the recently released Crafters Essentials 2 die set along with Echo Park’s Eat. Sleep. Craft. stamp set. 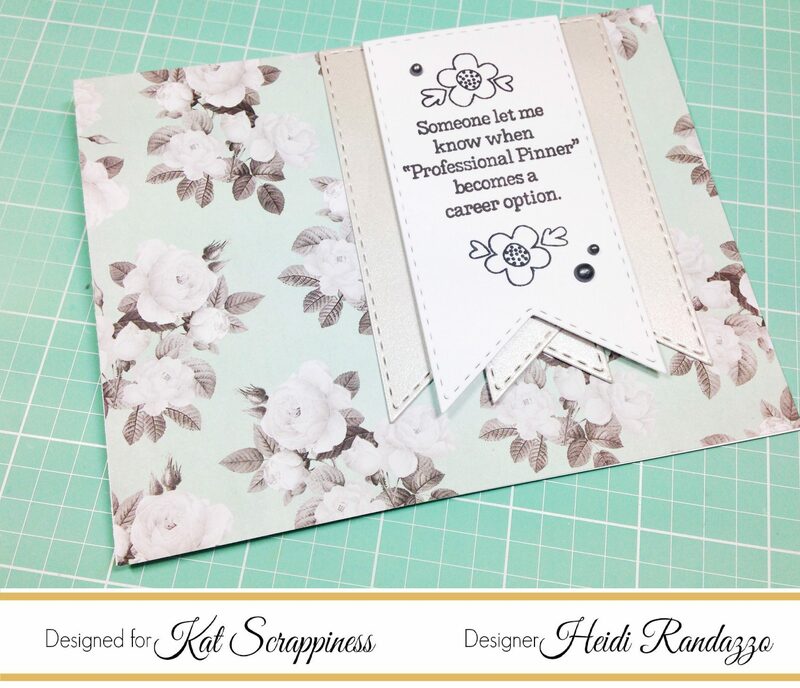 The big background panel in the set is perfect for the graphic style sentiment stamps. 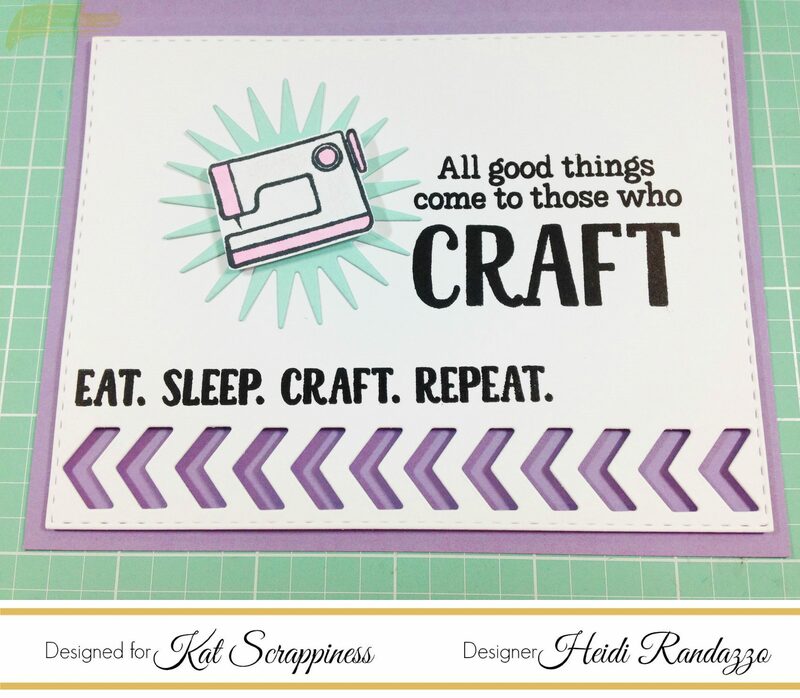 I arranged a couple of the sentiments utilizing the chevron arrows to create the movement of “eat, sleep, craft, repeat”. I really like the sunburst die included in the set. It’s perfect for cute little focal points like the sewing machine. Notice the design “triangle” I made with the stamps and the sunburst. This is a design principle I love using for CAS cards. 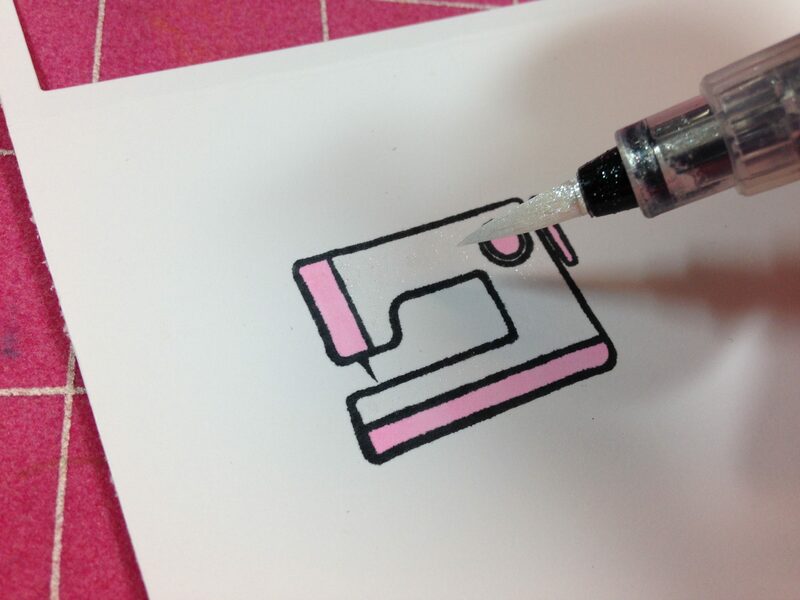 I stamped, colored and cut out the little sewing machine adding a little Spectrum Noir clear sparkle pen for fun. I actually have a fun, flowered sewing machine in my craft area that I need to use more. Threading that bobbin just throws me off every time, LOL! Someday…….:). I adhered the sewing machine to the sunburst with some foam tape and the entire panel was adhered to a lavender notecard with more foam tape. Here’s another card I made with the die set using the big fish tail banner. I love how wide the banner is. Perfect for block-style sentiments. This sentiment is from the same Echo Park set I used in the previous card. 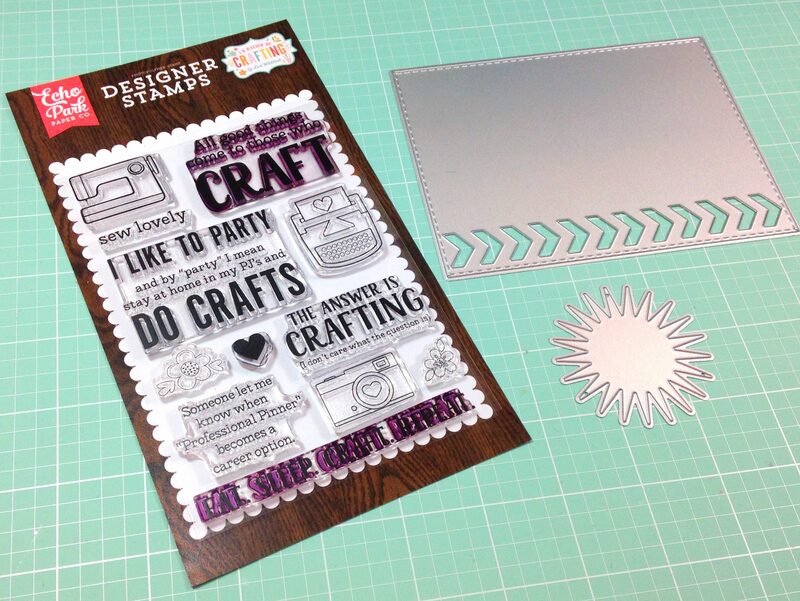 I die cut 2 banners in Crafter’s Companion Silver Spotlight Shimmering Cardstock to back the main banner. A few drops of Liquid Mercury Nuvo Crystal Drops highlight the sentiment. Thanks so much for joining me today. 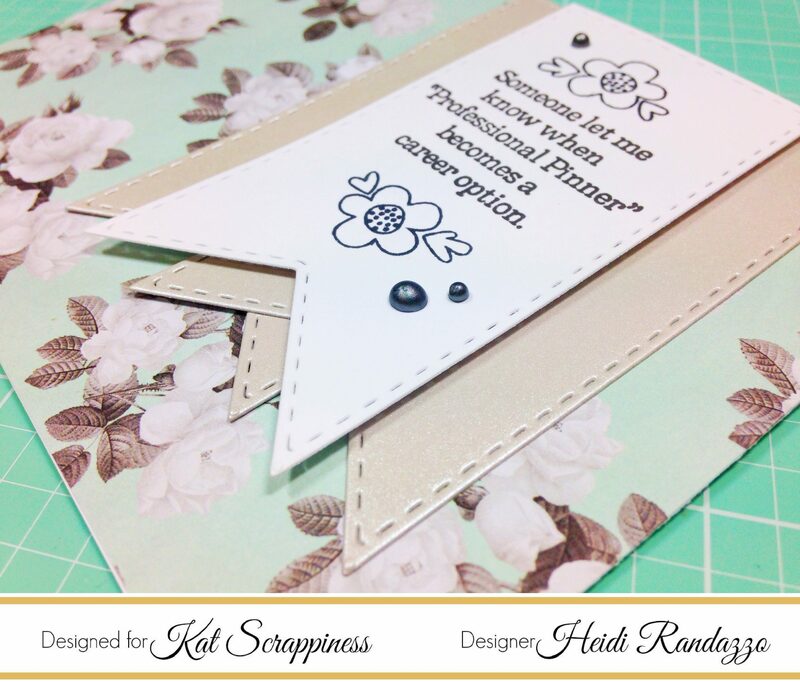 Be sure to head over to the Kat Scrappiness shop and feel free to use my coupon code: Heidi10 to receive 10% off your purchase.